Like I mentioned yesterday, I think evening routines are just as important as morning routines. Maybe even more so, because I believe you set your self up for success or failure in your day based on what you do the night before. 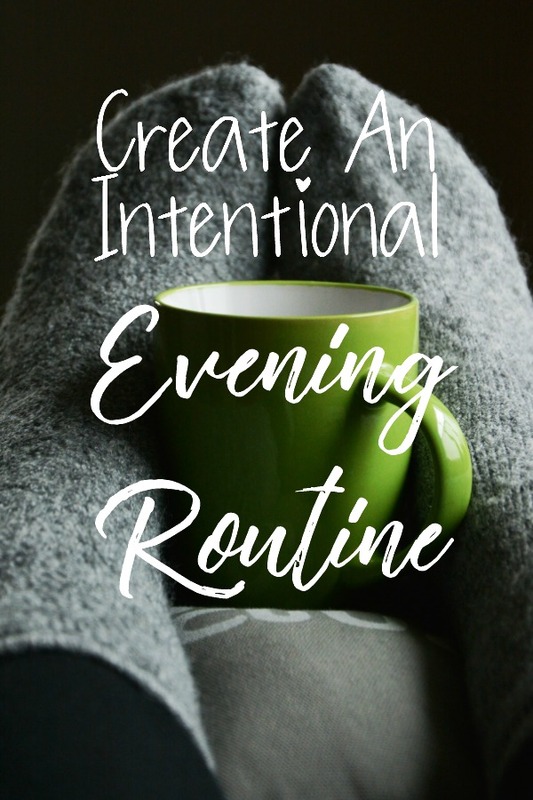 Here's how I went about setting up my more intentional evening routine. Make sleep the priority. Whatever else you decide to do with your mornings and evenings, at least make sleep a priority in your life. Sleep affects every other area of life, because being exhausted makes you stressed and lazy. Waking up still tired or hitting a wall in the afternoon might mean you need more sleep. Everyone is different, but you generally need 7 to 9 hours. I'm about 8. In the last post I mentioned do that math to figure out your bedtime, and try to aim for an hour earlier than that so you have time to relax. I relax by making my next day's to do list and reading. Electronics keep you up and disrupt your sleep cycle so try not to use them within an hour of your bedtime. Envision your ideal evening. Creating an evening routine starts with dreaming up the possibilities for your ideal night - what can you do so set yourself up for success the next morning? During the mornings, is there anything you find yourself wishing you did the night before or anything that's a particular struggle? It's about making your mornings easier on yourself. Some things might include: picking out clothes, prepping meals, exercise (I do mine in the mornings but that might not work for you), reading, and just generally having time to relax with your family. Even though you might not be able to do everything you envision in your perfect evening, but it's good to have the starting points. Find things in your calendar to say no to. If you're struggling with morning and evening routines, if you can never get to bed on time or are constantly behind on things like laundry and cooking, you're overbooked and could benefit from saying no. It's so much better to just do a few things and give them your best than to attempt everything and do all of it mediocre, or even poorly. In order yo say yes to those things in your ideal evening routine you dreamed up, you have to say no to things that are sucking the life out of you and not contributing to your life and goals. So take a look at your calendar and declutter it. This also means recognizing your bad habits that are cluttering your time in the evenings. Maybe you're not over-committed but you're actually just indulging in a lot of distractions like television, late night Pinterest and Instagram scrolling binges, or cramming in all the things you procrastinated during the day. Try committing to an earlier bedtime, only one episode, and keeping up with cleaning as the messes happen instead of letting it build. Prep for a successful next day. The most important elements of an intentional evening routine, besides having the time for one at all, are the things you do to prep for a successful following day. If you go to sleep behind on the laundry and the dishes, no food ready, and no idea of the next day's schedule, you wake up already behind. So taking the few minutes to prep things like this gives you a big head start on the next day, particularly if you're not a morning person. Because fixing the before bed routine means you don't have to wake up earlier! 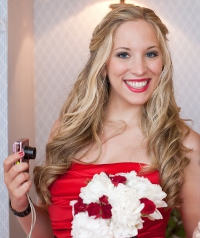 Some things that are worth prepping in the evening? Breakfast, your wardrobe, and the bag you're leaving the house with. For breakfast, there are a lot of make ahead options, like freezer burritos, egg muffins, overnight oats, or even oatmeal in the crock pot. Not having to cook breakfast every morning is a huge time saver. It's also time saving to know and have laid out exactly what you're going to wear. There's a lot of information on the internet about simple wardrobes and picking your best colors, but it all really comes down to only owning what you love. Everything in your closet should fit well and make you feel good. And of course, get the bag ready that you're going to leave the house with. Make sure you have all the essentials, especially your keys, but also include anything for the errands you need to run (which is why I make my to do list at night! ), like returning a library book or mailing a birthday card. Add in self care. Women especially are great at taking care of everyone else until we snap, because we never bother to take care of ourselves. You need to have time in your day to take time for yourself and do whatever it is that you love that relaxes you, which generally fits in best in the evening hours. Hobbies, meeting with friends, having tea and reading, bubble baths, whatever. Taking the time to take care of yourself gives you more energy to deal with all the other things. And you should think about adding in the care your body needs (healthy food, exercise, water, taking your vitamins) if those things aren't incorporated in your morning routine. Shower. I don't like showering in the morning, because I don't have time then to wash and dry my hair. I don't wash my hair every day, but showering in the mornings on the days I don't wash my hair, and then in the evenings on the days I do? Way to complicated. Evening showering it is! Clean the kitchen. I cannot sleep with dirty dishes in the kitchen, truly. So the sink needs to be empty and the counters cleared, no matter what. But since stuff never piles up, this doesn't take me long at all. I take my daily vitamins while I'm in there. Pick up around the house. Every mess is easier if you just stay on top of it. I make sure no dishes are left around, clothes are picked up off John's bathroom floor, run the dishwasher, robot vacuum, and laundry as needed, and put away anything left out on the tables. Make a to do list and ensure everything is ready for the next day. Wardrobe and meal prep is all done on the weekends, but I do make sure my purse and everything I need is ready to go by the front door. Do something relaxing before bed. Sometimes John and I watch a TV show, sometimes we take the dog on a long walk, and sometimes I just read. Depends on the day, but just generally something to wind down. Make tweaks and back up plans. Again as with the morning routine, there's not going to be a perfect evening routine because life always gives us interruptions. Having a plan in place though allows the other days to run smoothly, so you're not constantly playing catch up. It's still important to review the routine though and make small changes as necessary. We also have different versions of our evening routine based on the different days our schedules allow. My routine is much more productive when John is at the firehouse, because I can incorporate more housework. On the other hand, he also coaches little league football, so for the Friday evening games, we don't get to much of our routine at all and have to tweak it for those late night times. 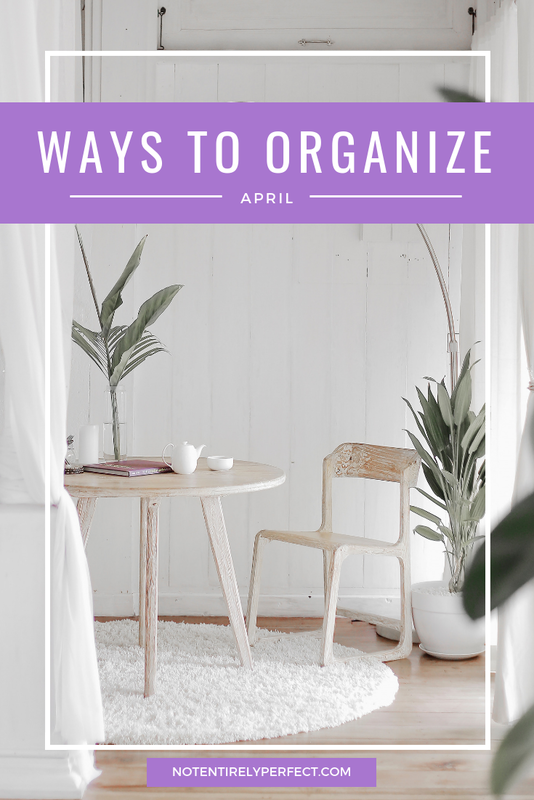 Since the basic routine is so simple, we're able to have a couple backup plans for those nights we get home late, or the nights I have extra time. I find a lot of benefit from my routines, in all areas of life. I appreciate the stress free days it allows and the extra energy I have to devote to the people and things that matter in the long run. Do you have an evening routine? What helps you get ready for the next day?